The birds had figured out that old dogs don’t move quickly. Kramer would lie in the sun on our back deck watching little sparrows hop around his furry body, snatching up bits of stray fluff in their beaks and hurrying off to the trees. He might occasionally give a half-hearted snap toward a carpenter bee buzzing too near, but he didn’t mind the birds. I think he enjoyed them. So many afternoons I would stop at the window and laugh at the birds’ frantic pace against his stillness, only his eyes moving to follow their work. In mid-February of last year, not long before his sixteenth birthday, I could put off the inevitable no longer. He couldn’t stand more than a minute at a time, wouldn’t eat without coaxing, and had begun refusing water. I carried him out to the front yard and sat with him in the sun for one last time, smiling through my tears as he lifted his head and closed his eyes at the breeze brushing his face. Then we made the slow and heartbreaking drive to the veterinarian, and I let him go. Pulling weeds in the flower beds several months later, I came across a bird nest that had fallen out of our tall evergreen shrubs. As I reached for it, my heart recognized before my mind came to understand. The nest was lined completely with Kramer’s fur, the warm caramel brown and white of his undercoat. For a time, I stood in the yard stroking fur I never thought I’d touch again, laughing and crying all at once. What an amazing and incredible gift! Yes, the grief was deep and sharp, but it was entirely overcome by the joy and love he had brought to my life for so many years. I whispered a “thank you” toward heaven as I set the nest on the ground beneath the shrubs for the birds to reclaim. Now I watch the fluttering about the birdfeeder among the trees and wonder which of these know the scent and warmth of my friend. 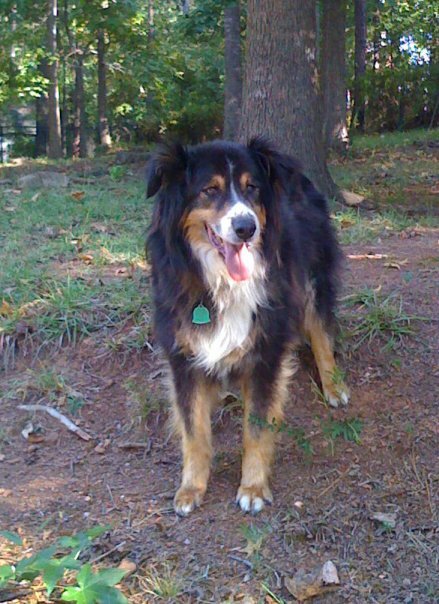 This entry was posted in truer stories and tagged bittersweet, grief, joy, pets. Bookmark the permalink. It is interesting that I chose today to click on this and read it. The video last night at Bible study was about Joy and Anguish. The two are so closely connected.